Well we were so, so close last week with the Reignwood LPGA Classic. We had Stacy Lewis to win and she was leading through the first three rounds. Unfortunately in the last round she crashed with a 75, and that brought her down to tied for 6th spot. So close to a nice win there. This week we have the Sime Darby LPGA Malaysia, and Lewis goes into this one as the favourite at 11/2 odds. Interesting, as she has never won here. She came tied for 6th in 2013, only shot a -4 in 2012, although did get -9 in 2011. Either way, she has been inconsistent on this course and as much as we like her, she’s not worth the bet. Last years winner was Lexi Thompson, who dominated the course with a -19, and next was Shansan Feng at -15. This course takes place in Kuala Lumpur, at the Kuala Lumpur Golf & Country Club. 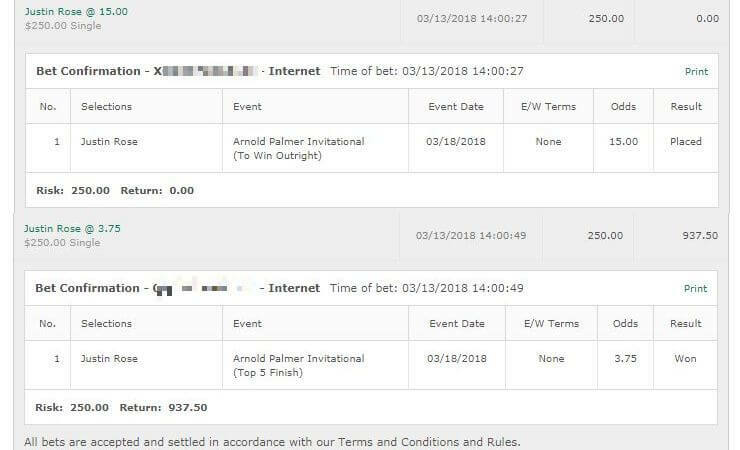 All odds from https://www.GTBets.com, the best place to bet golf online. 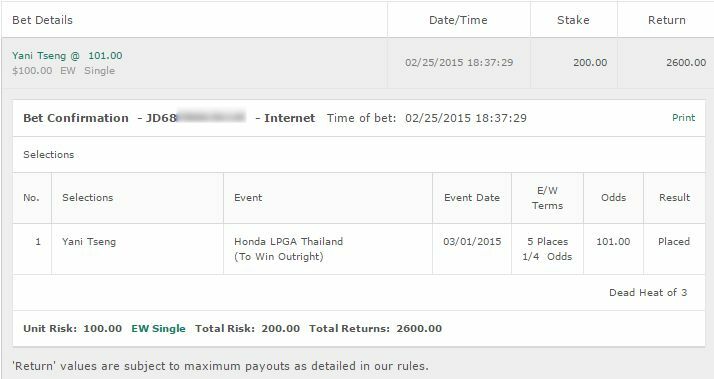 A surprisingly high price of 18/1 on Lexi Thompson makes her a relatively easy bet for the LPGA Malaysia. We do realize that Thompson has been in very bad form lately – but it wasn’t so long ago that she was racking up 5 Top 10 finishes in a row, including a win at the Kraft Nabischo Championship. She was cut during the Yokohama Tire, but returned with a 7th place finish at the US Womens Open. Last year, Lexi dominated this course. It’s a very easy bet. 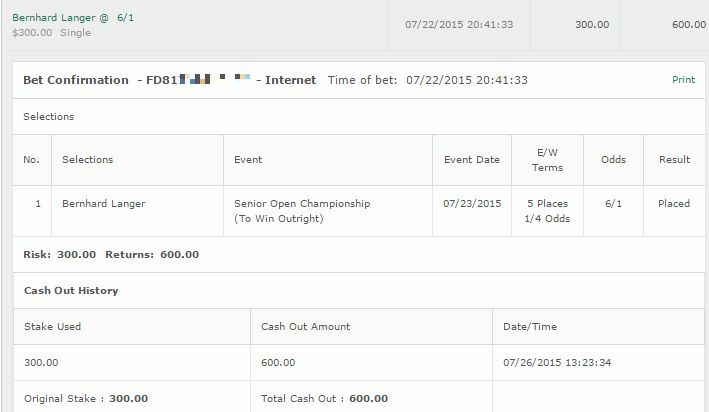 Bet: Lexi Thompson E/W. 18/1 at Bovada for Americans. Na Yeon Choi has had a very solid year in the LPGA. Only a few cuts, and she has been on a roll since the Canadian Pacific Womens Open with a 2nd place, 5th place and 5th place finish. She’s skipped a few tournaments but shot -4 at the Reignwood LPGA Classic. Choi is a golfer that runs hot and cold, and we’re hoping she can return to the hot streak that won her this tournament previously. She was actually very good here last year but had a disastrous round 1 shooting 76. If she shot even a 70 that day, she would have finished 3rd as opposted to 15th. The year before she of course came 2nd, and the year before that Choi won it. We’re going for Choi to return to form at this course. Bet: Na Yeon Choi E/W. 12/1 at Bovada for Americans. Usually we would have three bets however no-one else really stands out for us. Mi Jung Hur is tempting, however she looks to be on her downward slope at the moment and has no experience at this course. If you’re someone that loves to bet in 3s then go with Hur at 33/1 but we’re staying away. We were extremely unlucky, as Na Yeon Choi came within 1 place of a cash. She finished -13 for 6th place. All we needed was one better stroke to finish tied for 3rd. Unfortunately it wasn’t to be as that 70 Round 2 came back to haunt her. A poor performance from Lexi Thompson who started slow and just could never get going. She’s on a bad run at the moment and we’ll most likely stay away from her for a little while till she regains her form – although nothing is guaranteed!